The Philippine Association of Speech Pathologists (PASP) is a non-profit organization that provides the standards of practice for all speech pathologists in the Philippines to ensure that they are qualified, equipped with proper training and knowledge so they can give quality service to their patients. 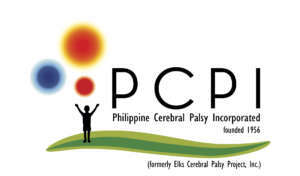 The Philippine Cerebral Palsy (Rehabilitation Center), Inc. (PCPI) is a non-stock, non-profit foundation dedicated to the treatment and alleviation of children with Cerebral Palsy and related motor disorders in the Philippines. They offer free services but donations to the center are encouraged as it helps ensure continuous therapy to their patients.